This chapter evaluates the impact of bee viruses on food crops and the predictable effect on food production. The production of crops worldwide can depend on many factors including temperature, moisture, salinity, pH of the soil, and the attack by biological agents such as aphids or viruses. With reference to the last problem, honeybees can act as target organisms. 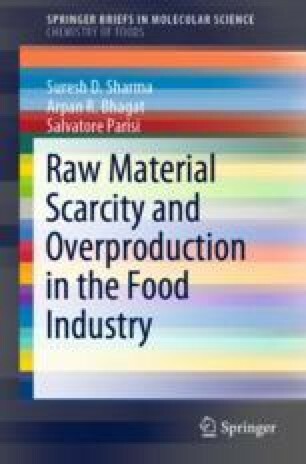 Because of the demonstrated correlation between the activity of honeybees, also named pollination, and the yield of certain crops (fruits, vegetables, and nuts), it can be also inferred that negative factors lowering pollination can cause the rise of food prices for vegetable raw materials. Therefore, new preventive approaches such as the surveillance of bees should be considered for prediction purposes, especially when speaking of factors influencing negatively pollination: the attack of bee viruses. The observed diminution of honeybees because of high mortality rates—the colony collapse disorder—has requested new studies concerning the use of pesticides, antibiotic therapies, and possible genetic selection strategies.